Dawn Doig is a former graduate student who was in one of classes in Mallorca Spain during a summer global education program. Dawn has been an audiologist in Canada, England, Kuwait, and Saudia Arabia. She is now teaching in Mongolia, and soon will be teaching in Cameroon. She and her husband, also a teacher, have a global perspective on the world. 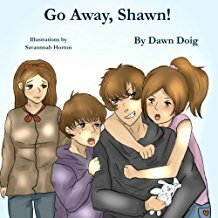 She has recently published 3 children’s books with Pen It Publications, LLC. I hope you enjoy her writing, as I do. I hear more books will be available soon. 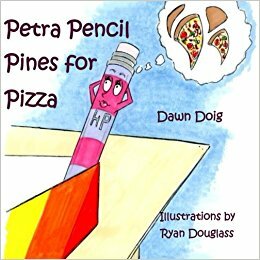 Petra Pencil Pines for Pizza, Go Away, Shawn, and And So, Ahmed Hears. In all three of these books, you will find a thread of kindness. 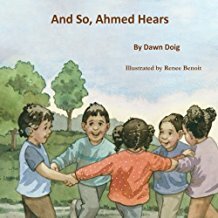 In addition, you will see that Dawn has a background, not only in mainstream classroom teaching, but also in counseling and education for the hearing impaired.